I recently had the privilege of presenting A Green Rx: Giving Your Family a Healthy Edge at Chadwick Village, a stunning independent K-12 school in Palos Verdes. On a 45 acre bucolic campus, created at the bequest of Margaret and Commander Chadwick in 1935, the school has always been interested in both academic rigor and nature-as-teacher. So I was happy to go, and give away my organic Washington navel oranges, a Mexican oregano plant, and a spearmint plant) to young parents of children attending the extraordinary Chadwick Village. 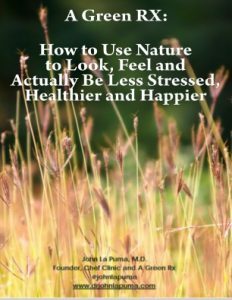 While the health benefits of nature therapy are increasingly well-established, and children are among the populations most carefully studied, the details of what to do and how to do it are not as obvious. In urban settings (not far from Chadwick’s bucolic campus), and of course, dominant in the U.S., where 50% of us now live in cities, and rising, it’s often hard to find a tree to sit beneath, or a forest in which to “bathe”, or a stream, pond or even fountain to distract your autonomic nervous system from being on alert to being on listen. And access to green and blue spaces is often also a matter of social equity. While there are many kids of lesser means at Chadwick, the community is fortunate to have an endowment and Village leadership that cares deeply about providing opportunity to all. With this background, I covered a proposed definition, vision and mission for nature therapy; how kids develop nature deficit disorder (ndd), and how to erase it; the role that devices and electronics can play in it, with apps that can help, and those that can hurt; how gardening itself can be fun, easy, therapeutic and preventive, all in the same raised bed, and the importance of organics therein; common conditions in kids from allergies to adhd and other attention problems; and what sorts of practical measures parents can take to make sure that their kids are not sucked into the maelstrom of social media, especially with the current, long overdue, privacy and security concerns. I also covered, albeit briefly, nature deficits in adults; the benefits of treating such deficits in both health and in work and well-being; why millenials have taken to houseplants, and how specific houseplants can absorb petroleum derived gases and toxins. Here is a well-loved collection on Amazon of 4 houseplants I recommended that will purify air, and are very hard to kill: https://amzn.to/2Go4sTh. Chadwick is one of the few independent schools to have a branch in South Korea, and Korea’s (and Japan’s) scientists are among the world experts in identifying and analyzing how green spaces improve the body and brain. Korean health rangers work in healing forests–up to 37 forests, it is reported– and groups of highly stressed executives, PTSD survivors and just those trying to get a break visit those forests, underwritten by the government. Nature-based recreation has declined 35 percent in the U.S. in the past four decades; but not at Chadwick, where unstructured play is encouraged, and recess is not a thing of the past, or a time for kids to catch up on their snapchat. 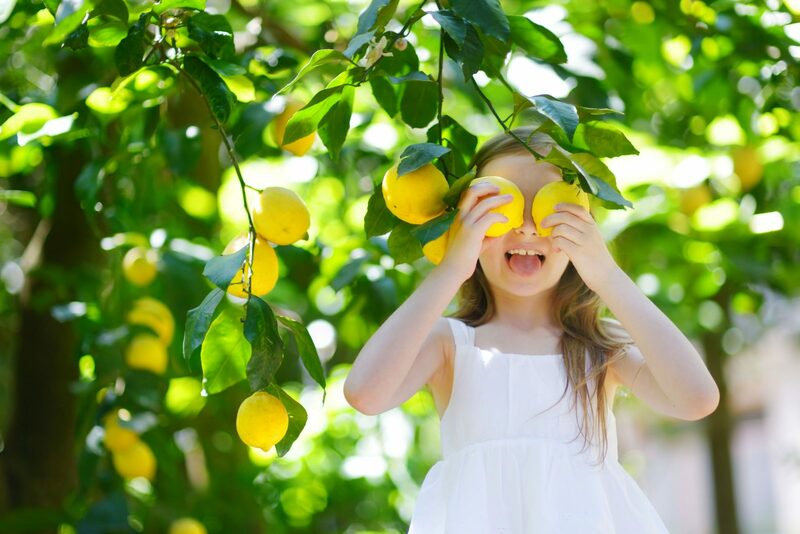 Kids go outside as part of their curriculum, to eat lunch, to learn how plants grow, and how they themselves can be part of nature, not simply observe it. It’s a terrific school, and it was great to teach there. Here is an abbreviated slideshare: it’s a topic that needs a lot more oxygen.